3-piece Makeup Brush Set with Promo code and FREE SHIPPING! 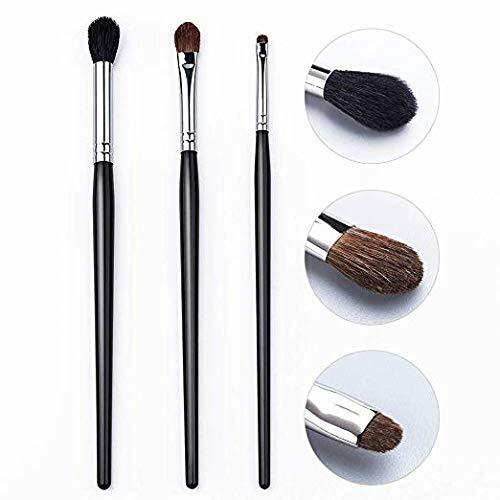 ❤️ PROFESSIONAL EYE MAKEUP: These essential eye brushes are ideally for liquids, powders, or creams to produce a beautiful eye makeup application. The set includes eye shadow brush, foundation brush, eyeliner brush, mascara brush, lip brush, concealer brush, eyebrow brush for daily use. ❤️ SOFT AND WEIGHT APPROPRIAT: All brushes are extremely soft and easy to hold makeup, perfect for makeup lady and individuals with normal to sensitive skin and will not irritate you.